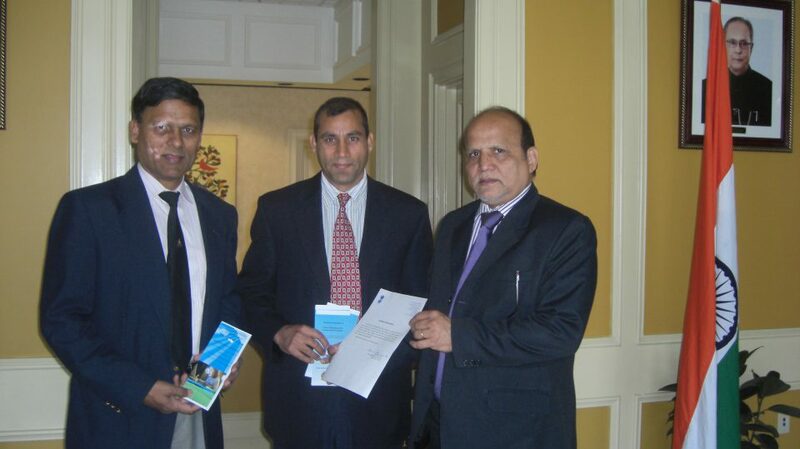 L to R: Parmesh Erramilli, Rajesh Kumar and Vice Consul Rajinder Singh. Atlanta, GA: “No dreamer is too small and no dream is too big” says Rajesh Kumar, his story, a testament to that statement. Kumar is the founder of Takshila Education, a non-profit organization that aims to provide world-class education for socioeconomic enhancement of the community, from the comfort of your home. 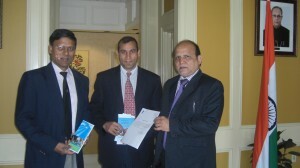 Kumar is also working with Georgia and South Carolina universities and schools to provide etutoring to students from both states. Hailing from a remote village in Haryana, India, surrounded by family and his fellow villagers that simply were unaware of the value for education did not stop Rajesh Kumar from breaking barriers and overcoming limitations, be it poverty, caste or simply the lack of access to basic education. “I was allowed to sit in the back benches of a good school,” says Rajesh, thankful for the opportunity provided by a teacher. Rajesh went on to earn his scholarship and eventually an engineering degree. Currently employed with Verizon, Rajesh’s goal is to give back and provide the same opportunity to those not fortunate enough to have it readily available. He strongly believes education is the key to fight people’s way out of poverty. Takshila Institute, Rajesh’s brainchild came together with a few like-minded friends working though Takshila Education Trust, a non- profit organization. The organization secured an area to construct the school when Village Abidpura, located 90 kms from India’s capital New Delhi, donated 10 acres of land. The school will provide education from primary grades through secondary and also will include a vocational training center. The school is designed to work in three shifts and accommodate around 1000 students per shift. The primary shift will accommodate regular students, the second shift will serve students who previously had to drop out of their studies, and the third shift will serve students who are working outside of school. Well aware of different needs for students here in the US, Takshila Education provides free online tutoring services from grades 9 through 12 in Science and Mathematics. They also offer free assistance with homework, helping kids with school tests, quizzes or projects. Each child is assigned with a personal education manager who will closely monitor the child’s progress and follow up with the child’s tutor and parents. Takshila education’s tutors are said to be available during after-school hours and weekends as per requests. The student mentoring videos are also available to students. They are also working on apps that will allow students to view their videos on smartphones. The series will be grade appropriate for their use. Teachers who are interested in volunteering for the tutoring program may contact Rajesh Kumar at rsangwan34@gmail.com.